Dental bonding can close the gap and provide a straighter, more uniform smile. You know that space between your two front teeth – the one you’ve had for as long as you can remember? At Douglas E. Oliver, DDS we can make that space disappear – painlessly and effortlessly right here in our office. We can also fix chipped teeth and cracked teeth using the same procedure. How? With dental bonding, a simple procedure that adds tooth-colored material to your own tooth so it looks natural and blends right in. How Is Bonding Material Applied? The doctor first isolates the tooth or teeth that need to be bonded. Next, a gentle phosphoric acid compound is applied to the tooth for only 15 seconds to ready the tooth for bonding. The phosphoric acid does not cause any discomfort and it is a necessary step to ensure that the bonding resin material will adhere properly to the tooth surface. The next step is the application of the liquid bonding resin. This is a putty-like compound, matched to your natural tooth color, that is applied in layers to the tooth surface, shaped properly to match the other teeth and then “cured” with a special blue light. 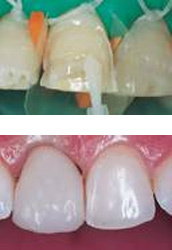 The resin is applied in several layers and sculpted until the tooth is the right shape and thickness. You’ll be simply amazed when that space is gone! The final step involves smoothing, buffing and polishing the bonded tooth so it looks natural and blends nicely with nearby teeth. Tooth bonding generally lasts from seven to 10 years with proper daily dental hygiene and regular checkups. Bonded teeth need to be checked periodically due to wear and aging or the need to be redone. 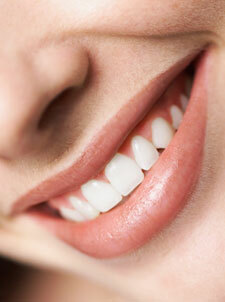 Bonded teeth also tend to stain more easily. Want to know if dental bonding can correct your broken tooth or close up that gap? Give us a call to schedule an evaluation. We’d be happy to answer any questions you might have about the bonding procedure.